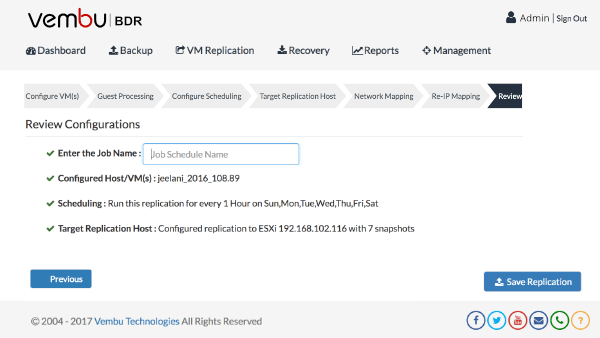 Vembu VMBackup uses VMware replication technique to replicate virtual machines from one ESXi host to another ESXi host. 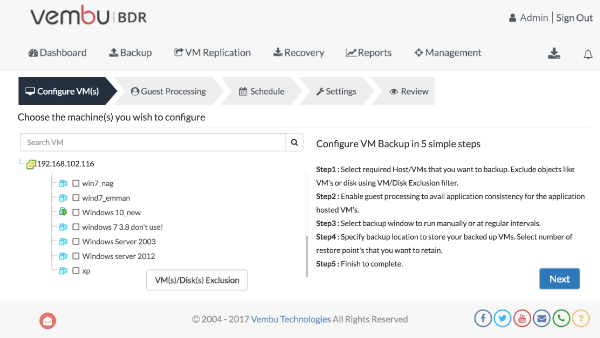 VMware replication in Vembu VMBackup allows user to get hold of their most critical VMs stay periodically synced as original. It ensures data integrity and high speed data transfer from production host to DR host. During vSphere replication, exact copy of VMs from primary host will be created in secondary host. 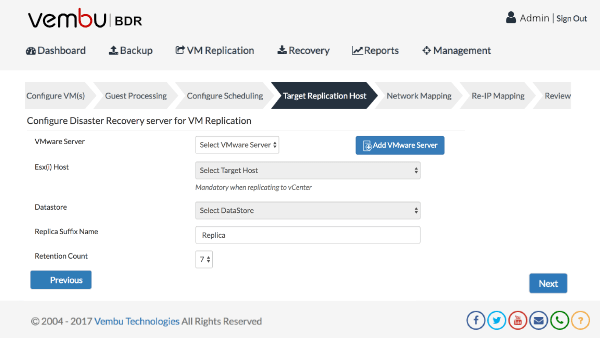 VMware replication makes Vembu VMBackup a reliable solution in getting best RTO (Recovery Time Objective) and RPO (Recovery Point Objective) values in the industry. 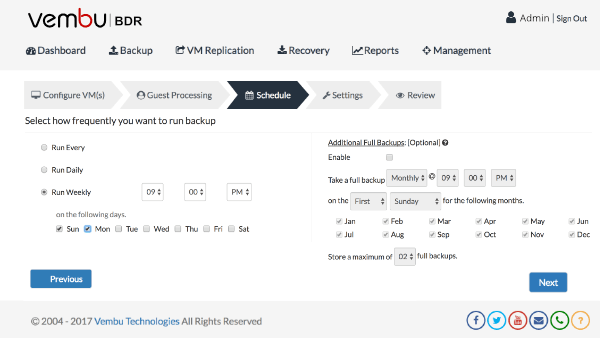 With VMware vSphere replication enabled, Vembu VMBackup ensures business continuity and high availability by offering failover and failback as DR options. During disaster scenarios, users can failover the replicated VMs to get auto-started on DR host and the failover can be either temporary or permanent based on scenario. Later, failback can be achieved to primary host or to a different host. VMware replication allows user to map production host network and IP Address with the DR host network. Configure replication job. (i.e) Job Scheduling, configuring DR hosts and network mapping etc.